MACOMB TOWNSHIP, Mich.– Police looking for the remains of up to seven girls who have been missing for decades stopped digging Tuesday in suburban Detroit, suspending a multi-day effort while they decide whether to search elsewhere in Michigan or resume the excavation in roughly the same area. Authorities repeatedly have said they’re confident they will solve the cold cases, raising the hopes of anxious family members who are desperate to learn what happened to their loved ones. The timeout could last a week, Warren Mayor James Fouts told The Associated Press. Police tape was taken down and three heavy machines were silent Tuesday. “They decided to stop and evaluate,” said Fouts, whose police department is leading the investigation. The search began a week ago in Macomb County’s Macomb Township, 30 miles northeast of downtown Detroit. The site is roughly 25 acres (100,000 sq. meters) of woods and open fields, not far from a residential neighborhood. Crews have clawed at just a portion. 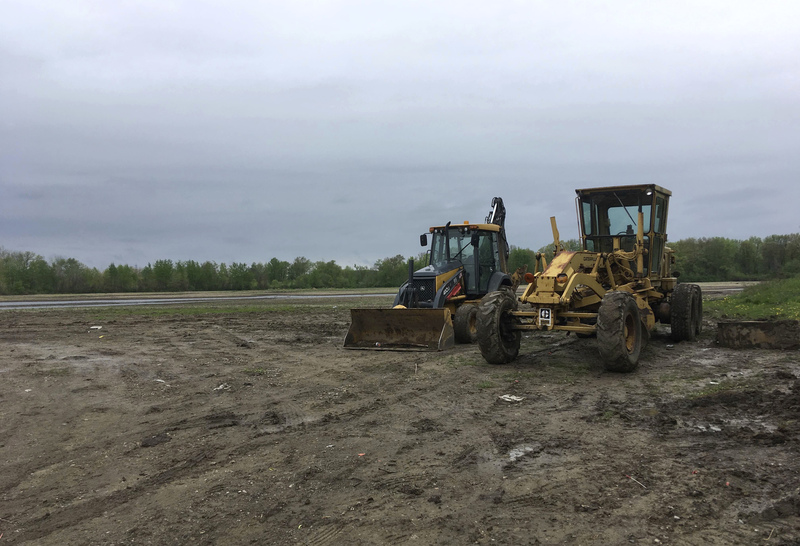 Fouts said police will decide whether to dig again at the same site or take the search elsewhere in Macomb County or to northern Michigan. He didn’t disclose what investigators might know about those locations. Police were inspired to dig after talking to a prisoner, Arthur Ream, who was locked up in 2008 for slaying a 13-year-old girl. Cindy Zarzycki’s remains were found a decade ago near the same woods. Ream was interviewed after fellow prisoners said he boasted about killing four to six other people. Police said he failed a lie-detector test. Ream has declined to speak to reporters by phone, according to the Michigan Corrections Department. Beyma, who was at the site Monday, said she wants to find her sister’s remains and bury them at a family grave in Kentucky.